Back to School Fashion: Shoes, Shoes & More Shoes from Rack Room Shoes! It’s Back to School Fashion mania over here at Mom Fabulous! Yesterday I showed you some Cute Outfit Ideas for teen girls and today it’s all about the shoes. I’m happy to say we are finished with the shoe portion of our Back to School shopping and all three of my kids scored some shoes they’ve been wanting. They’re happy with their purchases and I’m happy with how much money we saved, and that we only had to go to one store: Rack Room Shoes. How did I save? Right now Rack Room Shoes has their Buy One, Get One 50% off deal going on. Plus a lot of their brands were on sale. 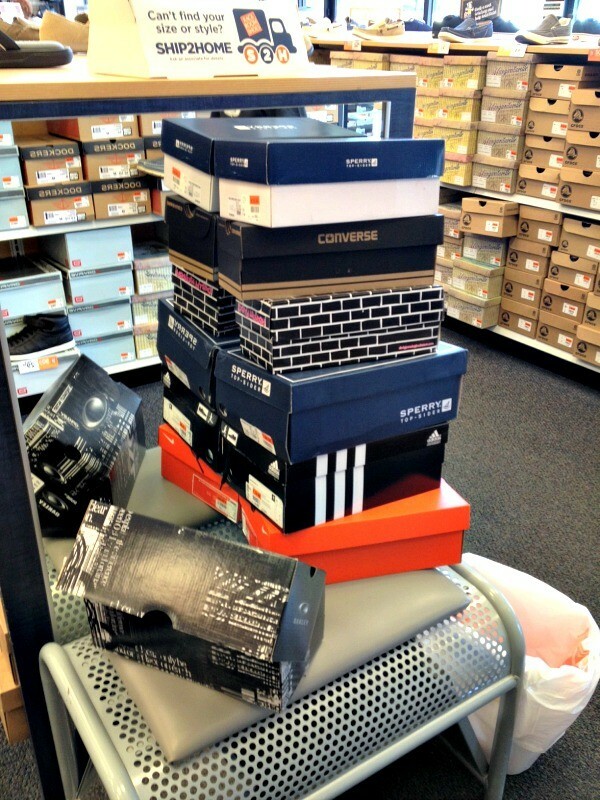 Combine that with their Rewards Program and you can purchase name brand shoes for great prices. Also when you sign up for their Rewards Program you receive a Birthday Coupon. Since this is my birthday month, I received mine on August 1st and I can’t wait to go back in and find something for myself! It didn’t take them long to find the styles they wanted. 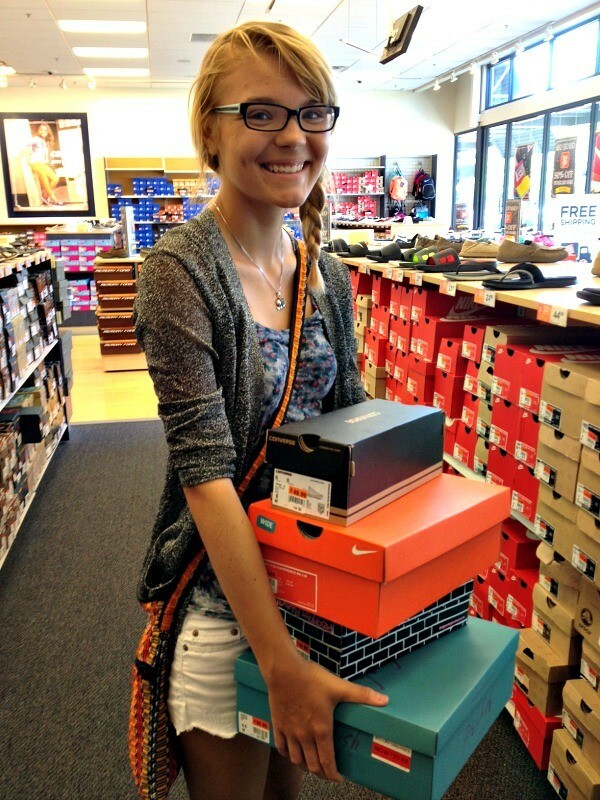 My daughter knew she wanted Converse and running shoes. 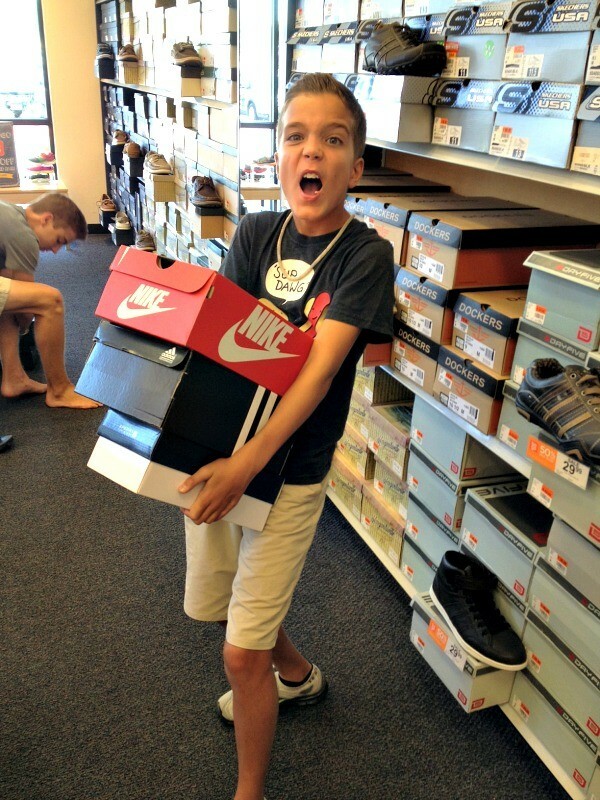 My middle son was on the lookout for Sperrys and Tommy Hilfiger, and my youngest son knew he wanted Sperrys and athletic shoes of some sort. The hunt was on and they tried on a ton of different kinds of shoes. They have a great selection for teen girls. Rack Room Shoes has a very nice selection of shoes for teen boys, such as Sperrys, Tommy Hilfiger, Vans and more. Last but not least, they have a great selection of athletic and casual shoes for kids. 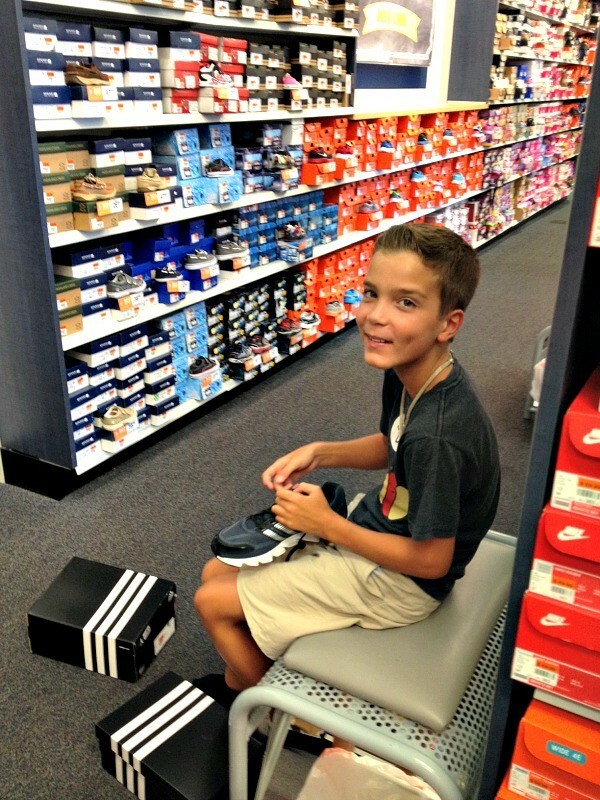 How do they feel about their Back to School shoe purchases? Happy and excited! 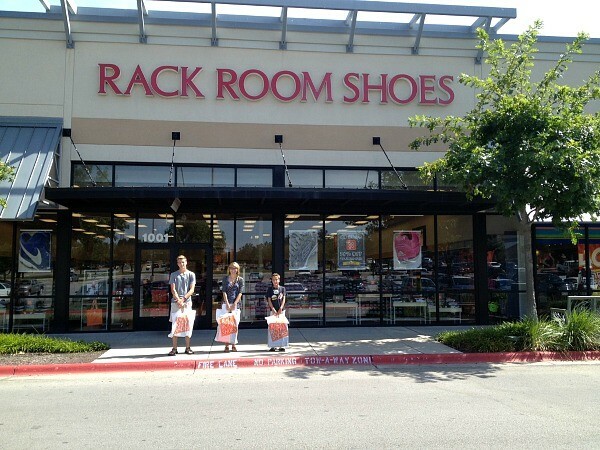 Pop on in to your local Rack Room Shoes for your Back to School shoe shopping needs. Also, don’t forget about their Shoes That Fit program where Rack Room Shoes is collecting donations for this fantastic organization. If you liked this post, would you do me a favor and share it? Thank you! Thank you!! Have fun at Rack Room Shoes. We sure did! Love Rack Room. I went there last year for back to school shopping.